According to a CIEL HR report, since last year the telecom sector has already lost around 40,000 jobs and the trend is likely to continue for the next six-nine months. 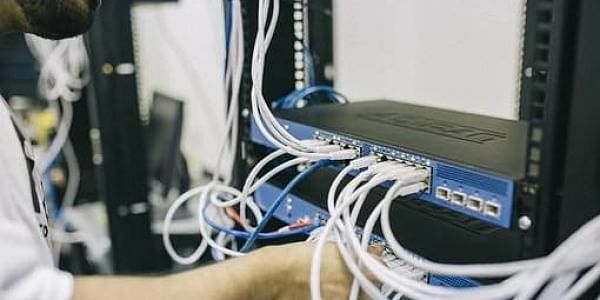 NEW DELHI: The telecom industry, which has been been witnessing job losses due to consolidation, is expected to create over 10 million employment opportunities in the next five years, as per the skill development body for the sector. "There are 4 million people employed in the telecom sector and by the end of five years, 14. 3 million people will be employed in telecom as well as telecom manufacturing," Telecom Sector Skill Council (TSSC) CEO S P Kochhar told PTI in an interview. According to a CIEL HR report, since last year the telecom sector has already lost around 40,000 jobs and the trend is likely to continue for the next six-nine months, with the total figure expected to reach 80,000-90,000. Kochhar said TSSC, under the National Skill Development Corporation, expects major demand for employment to come from emerging technologies like machine-to-machine communications, followed by telecom manufacturing, infrastructure and services companies. "We are increasingly seeing manufacturing line coming to India. That gives us a lot of hope in the telecom sector as far as skilling is concerned. There we have huge amount of potential and the projections that are made by telecom manufacturing industry is that 14. 2 lakh people will be employed in this sector," Kochhar said. He said TSSC is going to build training modules based on national occupational standards which will be prepared in conjunction with the industry and is approved by the government. Besides, the telecom sector skill body has proposed to the government to change the approach of looking for employment after training to training based on job demand that will come from industry. Kocchar said players in the telecom sector fear attrition if the workforce is upskilled. "We are trying to allay those fears (upskilling leading to attrition ) and say it will not happen and also telling the industry the benefits of taking skilled manpower," he said. Kocchar said TSSC is willing to invest to create a centre of excellence where people can be trained around products in the sector. "The tower companies are showing interest in this type of a venture. We will invest for creating the training centre and they would give us equipments out of CSR (corporate social responsibility), where we will train all tower technicians and then they are free to employ them. This is the type of ecosystem we are creating in the next one year," Kocchar added.